↑ Ganguly, S. (2003). "The Crisis of Indian Secularism". Journal of Democracy খণ্ড 14 (4): 11–25. doi:10.1353/jod.2003.0076. https://muse.jhu.edu/journals/journal_of_democracy/v014/14.4ganguly.html। আহৰণ কৰা হৈছে: 2008-04-12. ↑ Dimock Jr, E.C. (1963). "Doctrine and Practice among the Vaisnavas of Bengal". History of Religions খণ্ড 3 (1): 106–127. doi:10.1086/462474. ↑ Rosen, S. (1994). Vaisnavism: Contemporary Scholars Discuss the Gaudiya Tradition. Motilal Banarsidass Publ..
↑ 6.0 6.1 Hess, L. (2001). "Rejecting Sita: Indian Responses to the Ideal Man's Cruel Treatment of His Ideal Wife". Journal of the American Academy of Religion খণ্ড 67 (1): 1–32. doi:10.1093/jaarel/67.1.1. PMID 21994992. http://jaar.oxfordjournals.org/cgi/content/citation/67/1/1। আহৰণ কৰা হৈছে: 2008-04-12. ↑ Kanungo, H.. "The Distinct Speciality of Lord Jagannath". Orissa Review. http://orissagov.nic.in/e-magazine/Orissareview/jul2005/engpdf/the_distinct_speciality_of_lord_jagannath.pdf। আহৰণ কৰা হৈছে: 2008-04-12. ↑ 8.0 8.1 8.2 8.3 Griffith, R.T.H. (1870–1874). The Rámáyana of Válmíki. London: Trübner & Co.; Benares: E. J. Lazarus and Co.. http://www.sacred-texts.com/hin/rama/index.htm. ↑ Goswami, S.D. (2001). Vaisnava Compassion. La Crosse, Florida: GN Press. ↑ Hale, Wash Edward (1986). 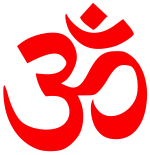 Ásura- in early Vedic religion. ISBN 978-81-208-0061-8. http://books.google.com/?id=wN6dz2UZkw4C&pg=PA80&lpg=PA80&dq=RV+10.93.14#v=onepage&q=Rame&f=false. 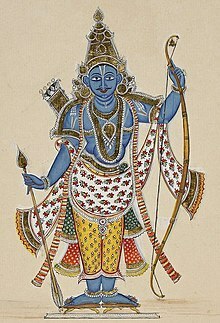 ↑ "श्रीविष्णुसहस्रनामस्तोत्रम् (Shri Vishnu sahasranama)|note search with string 'राम'". http://wikisource.org/wiki/%E0%A4%B6%E0%A5%8D%E0%A4%B0%E0%A5%80%E0%A4%B5%E0%A4%BF%E0%A4%B7%E0%A5%8D%E0%A4%A3%E0%A5%81%E0%A4%B8%E0%A4%B9%E0%A4%B8%E0%A5%8D%E0%A4%B0%E0%A4%A8%E0%A4%BE%E0%A4%AE%E0%A4%B8%E0%A5%8D%E0%A4%A4%E0%A5%8B%E0%A4%A4%E0%A5%8D%E0%A4%B0%E0%A4%AE%E0%A5%8D%E2%80%8C#.E0.A4.AE.E0.A5.82.E0.A4.B2_.E0.A4.AA.E0.A4.BE.E0.A4.A0.